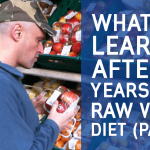 I started researching raw food and Natural Health back in 2005 while living in Camden town. Camden has a cool vegan and mostly raw restaurant called InSpiral Lounge on Camden High Street. This was the first raw food restaurant I ever visited and I remember thinking that the food tasted like cold vegetarian food. This is was before my taste buds adapted to the new flavours and texture of raw food. I’ve eaten at this place ever since, whenever I feel like indulging in raw chocolate and oil nut based raw ice cream. My love for chocolate disappeared over the years as I increased my consumption of fresh fruits. I also replaced eating oil nut based ice cream with frozen fruit based ice cream. If you visit Camden Market at the weekend, you can drink freshly squeezed orange juice from various market stalls and vendors in the streets. I wish this practice were more widespread around London; who wants to drink pasteurised orange juice when you can have the real thing? Freshly squeezed orange juice should also be sold at airports; you get them in Spanish airports and other places but sadly not in UK airports. Then again, they do grow oranges in Spain! Whilst studying nutrition and Natural Hygiene I often visited the Nutri Centre Bookshop on Park Crescent, W1. It is a specialist bookshop where you can find rare books about nutrition and natural health. I bought most of my books and study materials online, but it is nice to visit book stores from time to time and this one in particular. I moved to Covent Garden in 2009; Covent Garden is Theatreland. I’ve always loved this part of London because of its architecture and general vibe, though I hardly ever go to the theatre! I also lived here when I first moved to London in the early 1990’s, but it’s changed quite a bit since then, it’s a lot more touristy now and even has the biggest Apple Store in the world! Covent Garden held London’s main fruit and vegetable market in its central square for hundreds of years until it moved to south London in mid-1970’s, where it is now called New Covent Garden Market. 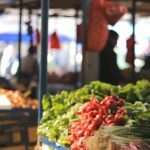 When it comes to food shopping, by far the best choice is to buy your fruit and vegetables from street markets, there are very good local markets widespread all around London. 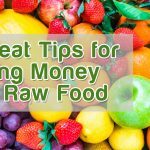 You can also buy fruit and vegetables from the big chain supermarkets, but in my experience, I would only recommend buying greens from supermarkets; you get a better deal buying fruit from street markets, and it is generally sweeter and more ripe than that sold in supermarkets. The closest access to fresh fruits and vegetables I’ve found while living in Covent Garden is Chinatown, and Berwick Street Market in Soho. There is also a clean and professionally run fruit stall, just outside Holborn Station, where they sell a wide variety of great quality fruit. I’ve been going to Berwick Street Market for over 20 years as it’s in the middle of Soho. Soho used to be a magnet for DJs because of the many music shops selling vinyl. I’ve even known some the vendors in the market for that many years. There’s a wide selection of produce available here and most of it is good quality, especially from those stalls that buy from New Covent Garden Market. Chinatown is a convenient place for me to buy fruit and vegetables, but it’s very expensive too. I can get the same quality stuff at a fraction of the price at many other markets. Nowadays I only buy fresh Durian from Chinatown. You can also buy frozen Durian but I wouldn’t recommend it, because it’s made me a bit sick every time I’ve eaten it. It’s best to avoid buying all processed foods, even if they are raw. There are also some nicely displayed fruit stands in Oxford Street, but they tend to be expensive as well. They are only convenient while you are shopping in the area. 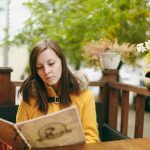 Please note that eating the correct raw food diet means you are hardly ever hungry or thirsty, so you almost never have the need to top up with food or drink while you are out on the street. I walk the West End of London for hours at a time without the need to eat anything, or even drink water. This was definitely not the case when I ate SAD (Standard American Diet) in the past; I always had the need to buy some fizzy drinks and eat any kind of junk food, such as chocolate, sweets and a million other things. In time you might find it easier to buy your fruit in bulk, direct from a wholesale market, and at half of the price. The UK’s largest wholesale fruit and vegetable market is New Covent Garden Market, located in Nine Elms, Vauxhall. The market is open from 00:00 – 06:00 Monday to Saturday and entry is also allowed to the general public. It is for individual traders to decide if they will serve the public but I’ve never experienced any problems, especially when they got to know me. New Covent Garden Market is an oasis of fruit and vegetables from all over the world, sometimes I think I could live there! I find it handy to visit every 10 days or so and buy all the fruit I need at once. It saves me a lot of time I would spend day to day shopping. It was quite an experience going to the market for the first time because all the traders looked at me a bit sideways! It made more sense when I told some of them I was a raw foodist. I found lots of people working there really interested in my diet, “My wife will be well into this” was a common line! New Covent Garden Market is well organised and very clean. Some of the shops play the radio really loud with music, mostly from the 1980’s. Getting there in the early morning with Fleetwood Mac blasting out at volume always gets me in a good mood. Beware of all the forklift trucks going as you are walking around! 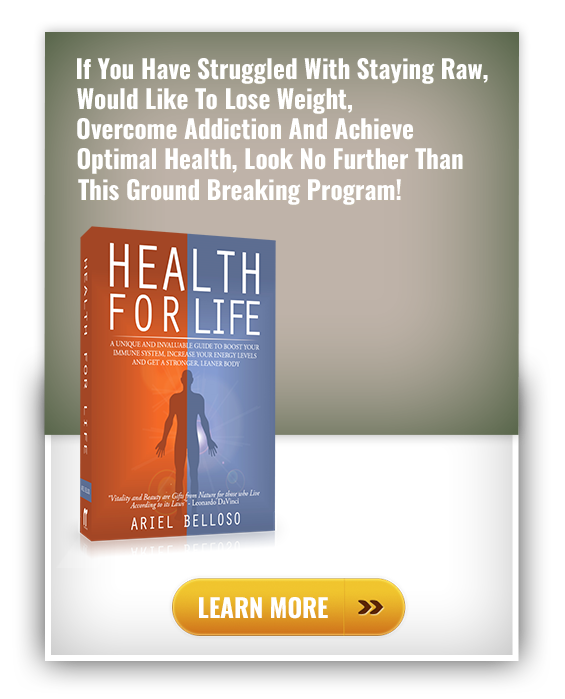 In order to thrive on a raw food diet it is best to learn how to eat well at home, and prepare your own meals. I occasionally eat out at restaurants and there are some good places, such as 42Raw in Burlington Gardens, W1 and Wild Food Café in Neal’s Yard in Covent Garden. They have some nice recipes but beware they are all high in fat, though eating them once in a while is OK. I went off the idea of sitting down and eating in restaurants; I almost have too much energy for that. I’d rather use my time to exercise or do any other activity. 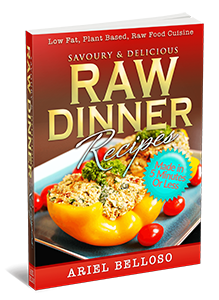 Check out the real-world-tested recipes in The Raw Dinner Recipes eBook. Get 14 quick and delicious recipes that help you look and feel years younger! Is any of the produce organic? Hello Amanda, Thanks for your comment. The topic of organic is material for another post. Thank you so much for the very informative article! I’m a student and would love to go raw, I just didn’t think it was possible in terms of budget but the market in Vauxhall seems like the solution! I know this may sound stupid but how do you manage to carry boxes of fruit without a car? I saw you didn’t buy bananas there. Do you manage to buy in bulk from another market? Great recap of the best markets! Everything looks so fresh. So can you suggest a good place to purchase bananas? Your local street market and/ or supermarket. The closest to home generally is best as they tend to be heavy to carry, if buying in large quantities. That’s how I do it. I hope that helps. I bought a box of organic bananas early this morning from new Covent garden market for £16 (90 bananas)! Thank you Ariel, I will be back there regularly. We recently relocated to London and I stumbled across this blog post and your comment as I was researching where we could buy our bananas in bulk. May I ask if you are still buying from New Covent Garden? If so, would it be possible for us to bulk buy our fruit with you? (We live in Wembley). Do you still live in Harrow? Lots of interesting information here, but it would be good to mention Nama restaurant in Lonsdale Road, Queens Park. They do excellent raw vegan food and often run courses. 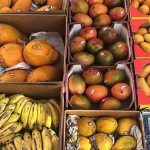 People have asked me so many questions about buying fruit in wholesale markets that I decided to write a new blog article. I will respond to all you questions too. Please bear with me a few days. Please subscribe to my mailing list in order to be notified. Hello Ariel, thank you very much for your blog ! You said that you would write in the last comment a new blog article but I didn’t find anything. I am moving to London in a few days, I will not have a car and it would be interesting to know how you manage to buy to a wholesaler without a car ? Hey, I’ve just found your post. I live in London and I’m looking for a good source of fresh fruits. What the prices like at the New Covent Garden Market? Nice article, but I’m very surprised there is no mention of Neal’s Yard, in particular Wild Food Cafe and Wild Juicery! Lovely places for raw food and drink! Hi, I recently discovored a nice basar just under the tracks at Shadwell station (Chapman Street). The prices are quite low and they have a lot of exotic fruits as well. Its all the time very busy and a lot of arabian shoppers buy large amounts of veg and fruit. The staff is very friendly. Hello Anne, thanks for your feedback. I will definitely check it out! Thanks for the recommendations Ariel, I’m going to check out the Wild Food Cafe when I’m in London next month. Ariel, excelente te felicito… por dar tu granito de arena a que los que vivimos en Londres, podamos encontrar estos sitios… llevo un tiempo aqui y esto me ayuda… Gracias guapo…. Hi there, is there somewhere in particular you’d recommend to get Durians in London? What kind of price are you paying? I’ve occasionally seen them in Chinatown but only seemed to be the very odd one not baskets full of them like in your picture. Maybe I’m looking in the wrong place!! Thanks for your work. Thank you for sharing informative content,It is very helpful information.Gokart is the London best fruit and vegetable supplier.Here at getgokart you can get freshest fruit , vegetables,meat fish and more ingredient at the best prices from London’s best suppliers.Visit our website for more detail.